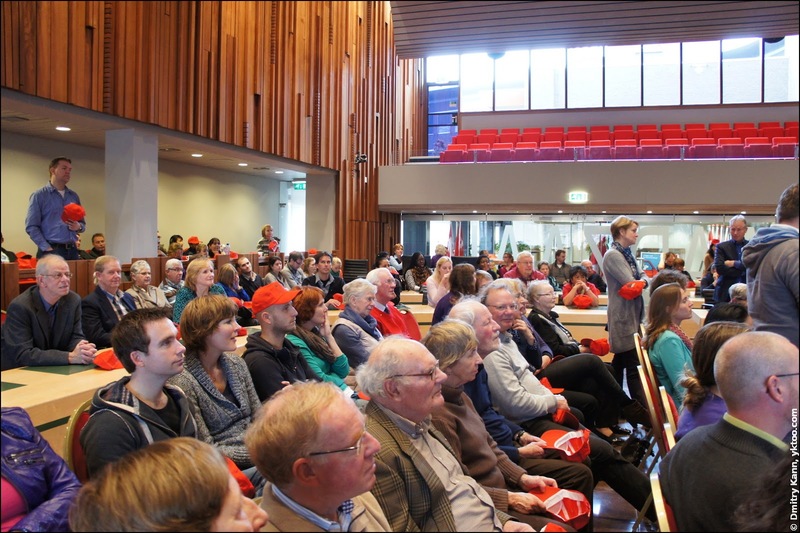 In November last year we and Amersfoort were officially introduced to each other. The event is held once a year for all newcomers to the city. Its name Amersfoort Aangenaam, literally translated as "Pleasant Amersfoort," is a standard expression used for introducing someone. The invitation was on the name of my girlfried as I'm no newcomer anymore. 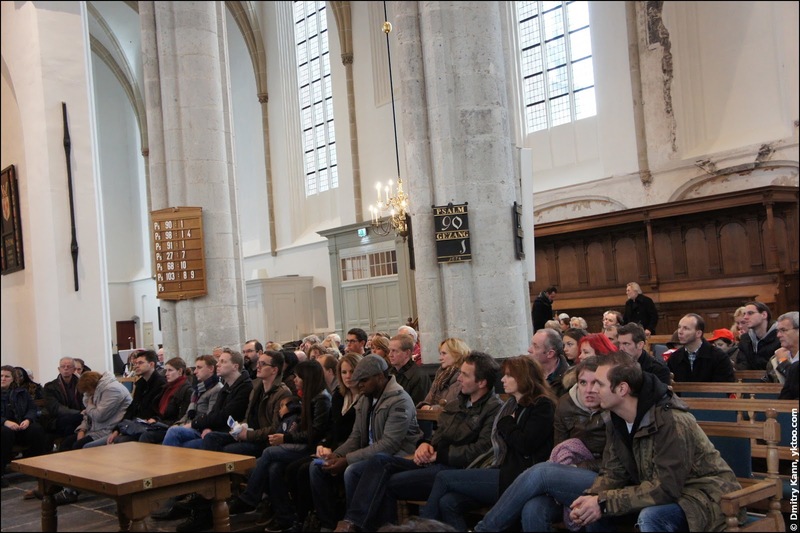 After that we were taken into a large hall where the city council (College van B en W) holds their sessions and stuff. There were a total of about a hundred and fifty souls. 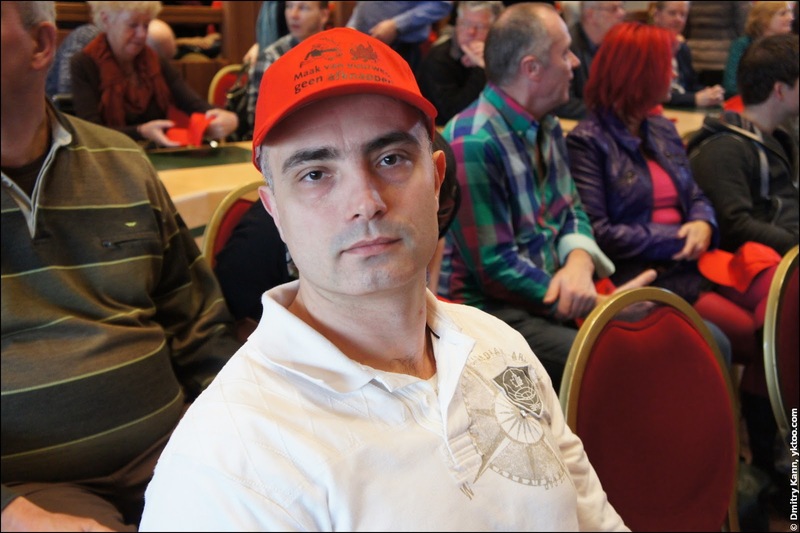 On every chair in the hall there lay a baseball cap with a strange inscription Maak van vuurwerk geen afknapper! (which translates as something like "Don't turn firework into a letdown") and a picture of a guy carrying a Christmas tree to throw it into the fire (that refers to the tradition of burning Christmas trees in a huge bonfire on December 31). 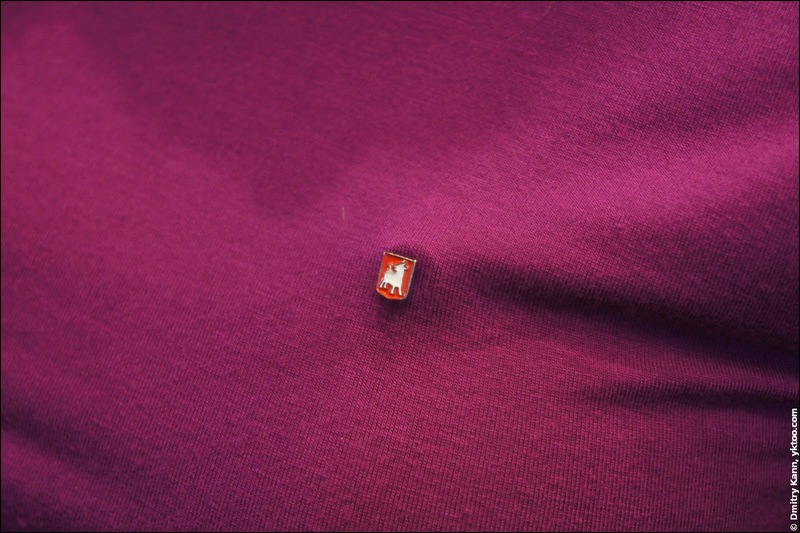 It turned out later the cap lay there for a purpose. 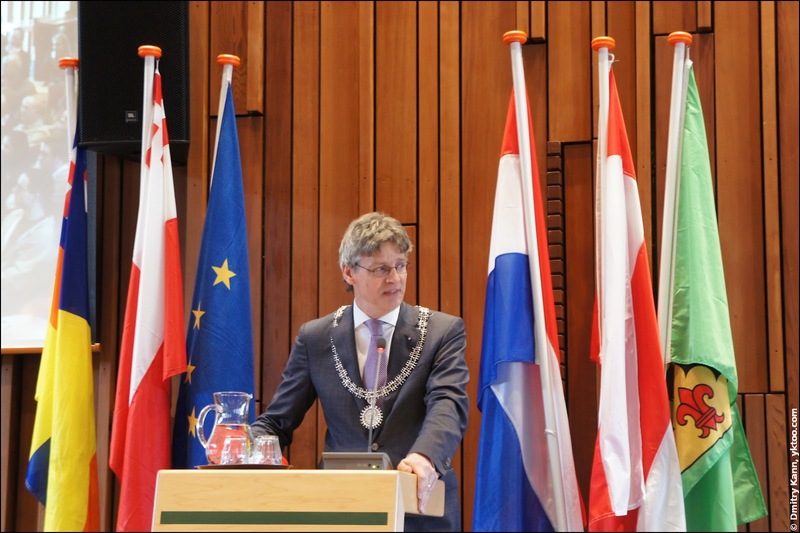 Our mayor Lucas Bolsius (a namesake of the Dutch candle maker) stepped up to make a looong introduction of city council members. Every political party is represented by a number of people in the council, and each of them was explaining us how much they value Amersfoort and why. In the end the only man was standing (on the left on the photo below). He was given a book about Amersfoort for the prize. There was also a separate quiz for kids. For instance, Bolsius asked one boy the name of a baby elephant who was just born in Amersfoort Zoo. "No clue sir," said the boy. "And that's the right answer," said the mayor, "he's got no name yet." After the official part we had a guided tour around the city centre. It's very well preserved and maintained, there's a lot of XV-XVI century buildings, canals and other interesting things. The trip finished at the Saint George's church (Sint-Joriskerk), a monumental protestant temple, initially built in 1248 and rebuilt several times since. It was my first time inside the church. After some more speeches and good wishes by city's cultural organisations we finally proceeded to drinks.